While using QuickBooks you may encounter annoying pop-ups or other features while using the program. 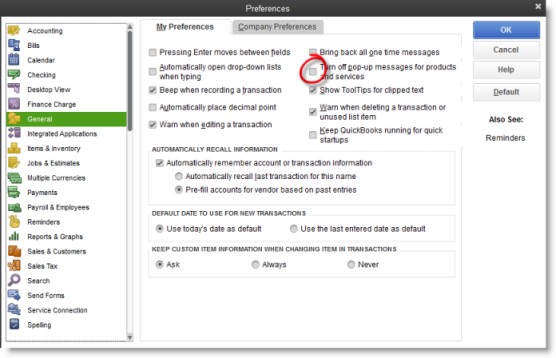 Below are some tips for getting rid of these annoying quirks that can appear in QuickBooks. These tips are mostly for older versions of QuickBooks as the newest version has removed some of these annoyances. To turn off the advertisement pop-ups follow the below steps. In the My Preferences tab check off Turn off pop-up messages for products and services. 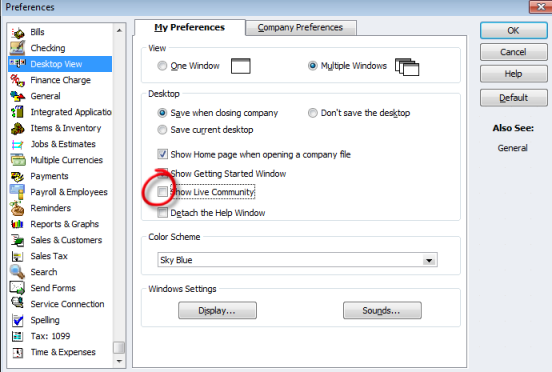 To turn off the Live Community window follow the below steps. In the My Preferences tab check off Show Live Community. 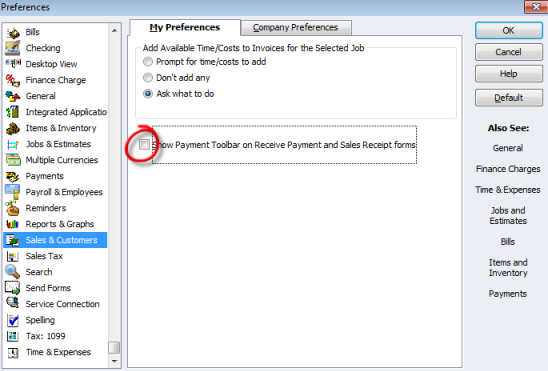 To turn off the Payment Toolbar found in the Receive Payments and Sales Receipts windows window follow the below steps. In the My Preferences tab check off Show Payment Toolbar on Receive Payment and Sales Receipt forms.